Even if you're still without Valentine's Day dinner reservations for you and your date, take-out and tears are not in your future. Whether you're looking to impress with an elaborate seven-course meal, trying to keep it simple and affordable, or just skate by without being scolded, we've got you covered. 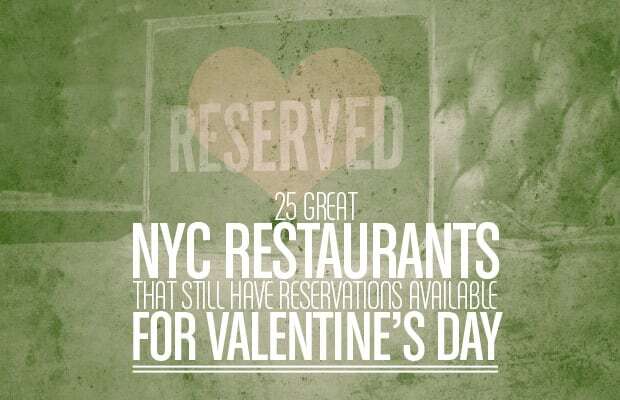 Turn your near-tragedy to triumph with our list of 25 Great NYC Restaurants That Still Have Reservations Available.